Albuquerque, New Mexico Employment Lawyer - Pia Gallegos Law Firm, P.C. Pia Gallegos fights against Fortune 500 corporations, local powerhouse corporations, and the federal government. She has obtained verdicts and settlements of more than $1 million on multiple occasions. She prosecutes overtime class action law suits on behalf of groups of employees with similar interests. 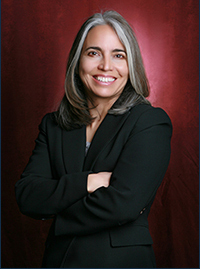 Whether through aggressive litigation or mediation, Ms. Gallegos represents employees in a wide range of disputes with employers. She listens to your story and quickly grasps the important details of your employment concern. After your initial consultation with Ms. Gallegos, you will have a clear understanding of your options to make an informed decision about how you want to proceed. Pia Gallegos Law Firm, P.C. represents employees in New Mexico courts, and federal employees before the U.S. Equal Employment Opportunity Commission and the Merit Systems Protection Board. When you have an employment grievance, you need a lawyer who works efficiently and resolves your problem sensibly. Pia Gallegos uses innovative strategies to help you achieve your goals within a practical framework. Ms Gallegos looks for opportunities to accept your case on a contingency fee basis. This means that you will not owe attorney fees unless you win compensation. For cases where a contingency fee does not easily apply, Ms. Gallegos suggests other means of addressing your concerns at a reasonable cost. Attorney Pia Gallegos is a fearless litigator who works on behalf of her clients because she believes in workplace justice.